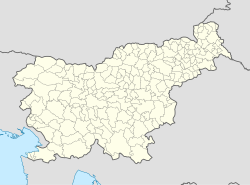 Rožar (pronounced [ɾɔˈʒaːɾ]; Italian: Rosaruolo, Istro-Venetian: Rosariòl) is a small village in the City Municipality of Koper in the Littoral region of Slovenia. The local church is dedicated to Saint George and belongs to the Parish of Predloka. This page was last edited on 27 March 2017, at 11:53 (UTC).